Hurricane Season 2016 Has Arrived | The Voss Law Firm, P.C. Are You Ready for Hurricane Season 2016? Atlantic hurricane season officially runs from June 1 to November 30, 2016. Many experts have forecasted that there may be a higher than usual number of storms this year due to a number of water and weather conditions, especially near Cape Verde. However, while this year might include multiple tropical storms, hurricanes, and even major hurricanes, forecasters acknowledge that hurricanes can be unpredictable. While there could be several major storms that make landfall, there could also be none at all. That being said, most experts agree that the very best thing that home and business owners can do is be prepared. Of course, hurricanes and tropical storms don’t always strictly follow the calendar. While there have only been a handful of storms reported before June 1 this year, Hurricane Alex appeared in the middle of January, almost five months before the start of the season. Alex was the first hurricane to develop in January since 1938. Last year, Ana—the first named storm of 2015—formed on May 8, taking many people by surprise almost a full month before the official start of the season. The moral of the story is that, although tropical storms may be more likely from June to November, a hurricane or serious storm can develop at any time—and it may be more or less severe than predicted. Getting ready before a storm has even been predicted. Making sure you have emergency supplies ready for use at home, in the car, and at work. Making an emergency communication plan so that you can reach loved ones and know where to meet. Understanding how to get regional hurricane alerts and instructions from local officials. Reviewing your community’s evacuation plan before a hurricane or flooding emergency. 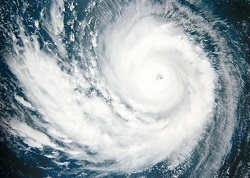 Part of your preparations should also include preparing for a potential hurricane insurance claim. Ready.gov recommends that you give your insurance agent a call to check up on your coverage and make sure your business or homeowner’s insurance provides the coverage you need. You should also review your flood insurance policy, since flooding—even “storm surge” flooding related to hurricanes—isn’t generally covered by basic policies. It can also help to familiarize yourself with local contractors so that you’re ready to make any potential repairs with a trusted and reliable service. By reviewing your policies now and clearing up any questions about your coverage before you need it, you are that much closer to protecting yourself and your property if the worst happens. Insurance companies often deny, delay, or underpay claims related to hurricane and storm surge damage, but they aren’t always acting with the policyholder in mind. If you are having trouble getting a claim fairly paid after a severe storm or weather event, don’t hesitate to reach out to the Voss Law Firm today at 1-888-614-7730.